Attacking Iran is a bad idea. With the recent election of arch-conservative Tehran Mayor Mahmoud Ahmadinejad as president of Iran, many observers expected a renewed crisis over Iran’s nuclear program. And, sure enough, one has arrived with Iran’s announcement that it intends to restart its uranium-conversion facility at Isfahan, despite an earlier agreement with European negotiators to keep its nuclear program frozen. The three EU countries negotiating with Iran have accelerated plans to deliver a new grand bargain on nuclear issues, offering trade, aid, and a nonaggression pact in exchange for denuclearization. But Iran has hinted that it knows the substance of the offer and isn’t impressed. 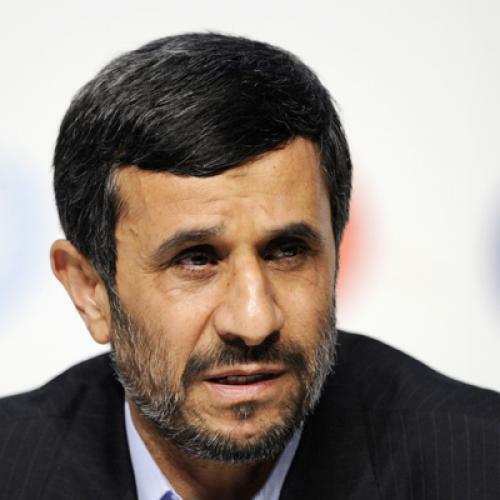 “It is we who should impose conditions on them, and not they on us,” Ahmadinejad has said. At any moment, Iran could withdraw from the talks, move beyond the Isfahan declaration to restart its enrichment program, or take some other action that would generate a global crisis. The European Union and the United States would take the matter to the Security Council and impose sanctions; Iran would dig in and fulminate about Yankee imperialism. And the Bush administration would then confront the most profound national security decision of its tenure—whether to launch limited air strikes on Iran’s nuclear facilities. On this question, the conventional wisdom is clear: If need be, the United States could strike Iran’s nuclear infrastructure without ruinous consequences. The Iranians are pragmatists and realists, the argument goes; they know when to take their medicine. Air strikes would represent a low-risk, intermediate response—after economic sanctions and before regime change—to continued Iranian nuclear ambitions. When skeptics of strikes do talk about Iranian retaliation, it’s of a limited sort: moves to deepen the instability in Iraq, further repression of reformists at home. The idea that Tehran would inaugurate a final showdown with the Great Satan seems too remote to contemplate. But contemplate it we must, because the conventional wisdom is wrong. Iranian leaders would have very real reasons to respond to “surgical" strikes with an all-out assault on U.S. interests designed to provoke the sort of decisive clash that everyone assumes Iran wants to avoid. And the resulting conflict would have far worse consequences for the United States than Iran’s ability to create weapons-grade nuclear material. Such bluster is usually dismissed as saber rattling. But this assumes that the only sensible Iranian response to U.S. attacks is restraint—when, in fact, a strong argument can be made that its best strategy would be to lash out. To understand why, we need to see the strategic situation as it might look from Tehran, and especially to the hard-liners who now dominate its government. Given such views—and also given the intense pride, regional ambitions, and sense of cultural superiority characteristic of the Iranian mindset—hard-liners in Tehran continue to see their two leading responsibilities as defending the Islamic Republic and thwarting U.S. ambitions. A sense of fatalism broods deep within both Iranian culture and radical Islam—the fear that world forces, led by evil cabals, are conspiring to destroy Iranians and Muslims. For hard-line Iranian strategists, then, the question is not whether to choose a war with the United States. A conflict is all but inevitable. The question, instead, is whether Iran picks the battles or allows the Americans to do so. And choosing the battle on Iran’s terms could mean choosing it now: It makes far more sense to fight an overextended, exhausted, nearly bankrupt, internationally unpopular United States today than a possibly rested, rejuvenated, more militarily flexible enemy in the future. If Iranian leaders are indeed thinking along these lines, a limited U.S. air strike would simply invite them to manufacture a decisive engagement. The longer Iran waits, on the other hand, the worse its position might become. We need to keep in mind, too, what we mean when we talk about “Iranian reactions.” Iran’s government has been a crazy quilt of competing factions and power centers, with hard-line groups like the Iranian Revolutionary Guards Corps and conservatives in the parliament owning most elements of state power. To imagine an intemperate response to U.S. strikes, we don’t need to presume that all Iranian leaders would endorse it—only that the most radical ones would. On their own, they have the ability to stage a sweeping retaliation, regardless of what pragmatic conservatives or reformers might want. Meanwhile, with its limited air and naval assets, Iran could strike at U.S. military forces throughout the region. Tehran’s regular military has aging equipment—but, as the Center for Strategic and International Studies’ military expert Anthony Cordesman pointed out in a December 2004 analysis, the Revolutionary Guards represent a more skilled military-within-a-military, with ground forces, naval units, missiles, and other forces under its command; a leadership composed of die-hard conservatives; and a mission to protect the Islamic Revolution at all costs. The Guards could flood thousands of troops in small units across the porous border with Iraq with orders to link up with Iranian cells or insurgent groups and assault U.S. bases and forces. Meanwhile, Iran could launch as many of its missiles as possible at Iraqi cities, U.S. air bases, and U.S. allies on the Arabian peninsula. Iran could also strike boldly at world oil supplies, disrupting traffic in the Strait of Hormuz—through which 15 million barrels of oil flow daily—with air and naval attacks. According to Cordesman, for example, Iran is believed to have more than 2,000 naval mines, some of them very modern, and the potential to deploy them from either large mine-laying ships or hundreds of smaller craft. Iran could hit Saudi Arabia, and its oil production, directly—including the huge export terminals at Ras Tanura and Ras Juaymah. Combined with an end to Iran’s own oil exports (of three to four million barrels a day), these attacks would send the world economy into a tailspin. Iran could then trigger the special international units of the Revolutionary Guards—the so-called “Quds” forces. They reportedly have a large secret budget, officers working out of many Iranian embassies, and strong links with organizations in areas ranging from Iraq, Afghanistan, and Pakistan to Turkey, Europe, and North America. This organization could generate a wave of terrorist attacks against U.S. embassies, military bases, companies, and allies all over the globe. Faced with the indefinite disruption of the international system and widespread attacks on its forces and interests—and perhaps its homeland as well—the United States might be forced to intervene with ground forces, with the goal of regime change. Gathering the concentrated forces necessary for a large-scale move into Iran would take months—time during which oil prices would continue to surge, world economic growth would continue to stall, and Iranian-sponsored terrorists would continue to hit U.S. targets.Washington would have to draw every available Army and Marine unit not already in Iraq, as well as many naval and air assets, into the region for an Iranian campaign; the global U.S. military presence would be essentially on hold until the conflict ended. Once the invasion did begin, the Iranians could rely on their rugged terrain to hold up U.S. forces in the mountain ranges that run along the western corridor of the country. Tehran could also disperse its military into small units, marshal the efforts of millions of members of its civilian militias, and undertake an arduous guerrilla campaign. A military analyst based in Tehran told a Western reporter in early 2005 that Iran had spent the past year developing “their tactics of ‘asymmetrical’ war, which would aim not at resisting a penetration of foreign forces,” but instead at waging a guerrilla campaign once the Americans had arrived. Tehran could generate a rebellion many times more destructive, and more legitimate in the eyes of its people, than the one in Iraq. To be sure, lashing out carries major risks for Iran: It would place the physical security of the country and regime in danger. But many Iranian leaders may believe that their power is already at risk and might see U.S. air strikes as confirmation that a final reckoning is at hand. If, on the other hand, Iran sits back and absorbs an attack, tough-minded thinkers in Tehran are likely to argue, Washington will believe that it can assault Iran at will. Many Iranians (not just hard-liners) would see a passive response as weak, cowardly, and unbefitting a proud people. Persian culture has a strong tradition of glorious defeat in service of a sacred cause. If we offer the hard-liners a chance to martyr themselves in the name of cultural heroism, they might just take us up on it. Comparing the Iranian and North Korean cases is instructive. The reason the military option seems nonsensical in Korea is not because it wouldn’t work (though that might be true). It’s because of the North’s presumed reaction, which would be to destroy Seoul. In the Iranian case, the opposite assumption seems to be in play—that Iran has no similarly catastrophic responses available to it. But that assumption is based as much on hope and wishful thinking as on any form of analysis. A WAR against Tehran and its allies in the Islamic world would pose an even greater threat to U.S. national interests than a continued Iranian nuclear program—at least one under International Atomic Energy Agency (IAEA) inspections, and one in which the Iranians publicly reject the idea of building bombs. The proposed EU deal aims to halt Iran’s uranium-enrichment program but not all of its civilian nuclear activities—Iran would be allowed to operate its reactors and conduct other research under international supervision. Even if a small part of Iran’s enrichment program continued, it could be limited to civilian purposes by inspections, including short-notice challenge visits under the IAEA’s so-called “additional protocol.” There is some evidence that Iran is amenable to such terms—that the sticking point is not inspections as much as preserving the sovereign right to a civilian nuclear fuel cycle. Such a fuel cycle need not present a military threat, assuming strict inspections. To get from there to a bomb, Tehran would either have to build a parallel, secret enrichment program or rashly toss out the IAEA regime. The first route would be slow and risky; the second would clearly demonstrate that Iran sought nuclear weapons and trigger an international crisis that would leave Tehran confronting not just the United States, but also the combined weight of world opinion. Either way, the risk isn’t immediate:According to a report this week in The Washington Post, the latest U.S. National Intelligence Estimate puts an Iranian bomb at least a decade away. An Iran under IAEA watch would possess a nuclear program but no significant bomb-making capability.Tehran’s hard-liners could claim a victory and begin hinting about a “virtual” nuclear deterrent but would know that, if they deployed an open arsenal—or, worse, gave fissile material to terrorists—they would likely face every ounce of “shock and awe” that Washington could muster. Reducing Tehran’s nuclear program to a latent, ambiguous capability would achieve basic U.S. interests:no public, tested, clearly weaponized Iranian arsenal; too little fissile material in Iranian hands to allow Tehran to give much away (and enormous dangers to its regime if it did so); and a reaffirmation of the basic IAEA system of inspections. Meanwhile, this process could lay the groundwork for the only long-term solution to the problem of Iranian nuclear aspirations: integration into the world economy and a gradual return to reform. Ahmadinejad is hardly a reformer and reportedly favors socialist-style government planning to deal with his country’s manifold economic problems. But most Iranians still want reform. Ahmadinejad’s support seems to have come from conservative voter turnout drives and his populist appeal to widespread anger at economic stagnation, lack of opportunity, and corruption in Tehran. When his state-run, autarkic economic program fails, the same demands that ushered him into power will prove his undoing—if the West doesn’t gift-wrap a nationalist rallying cry for him in the meantime. Engaging an autocratic regime in order to buy a tentative cap on its nuclear ambitions and hoping that political reforms will outpace bomb-making are hardly neat and tidy solutions or ones likely to warm the hearts of those who crave bold statements of U.S. global supremacy. But we Americans are always seeing the world as a series of problems to be solved rather than challenges to be managed. Impatience with Iran is likely to become self-defeating; patience, meanwhile, offers no guarantee of success. It remains, however, the best option we have. Michael J. Mazarr is a professor at the U.S. National War College. The views expressed here are his own and do not reflect the position of the Defense Department. This article appeared in the August 15, 2005, issue of the magazine.